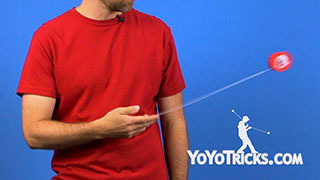 Chain Wrap yoyo trick video. 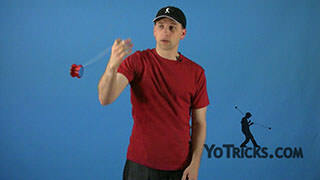 Chain Wrap Yoyo TrickThis next trick that we’re going to show you is called the chain Wrap, and it looks like this. 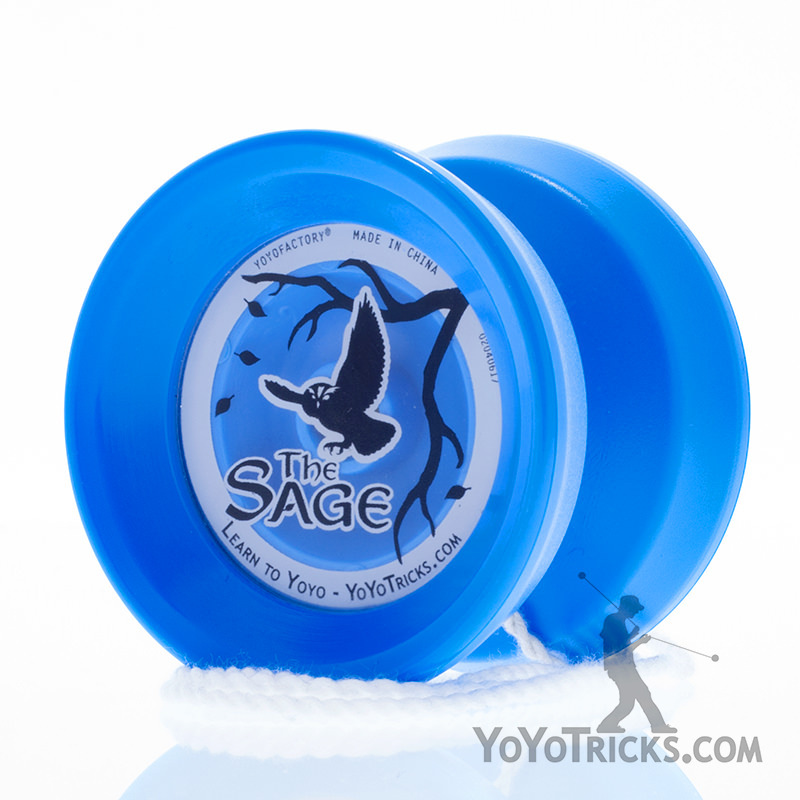 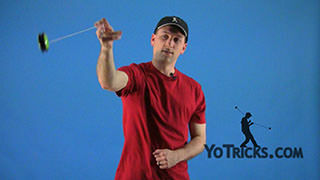 When you’re learning this trick you can practice it with either the yoyo dead, or you may find it easier if the yoyo is actually spinning. 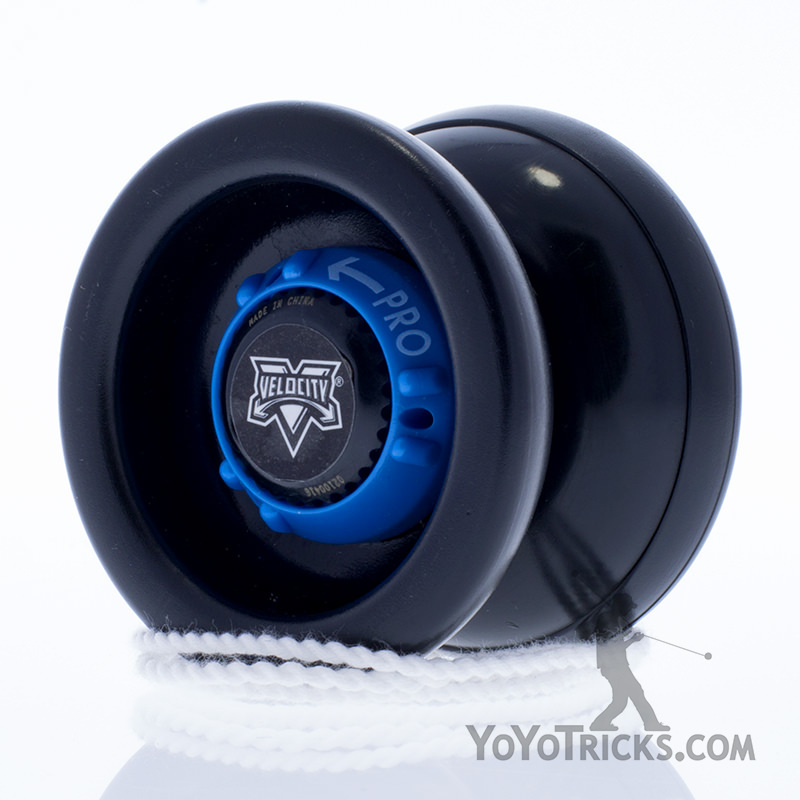 The trick involves four around the worlds, two of them are in the front of your body and two are in the back. 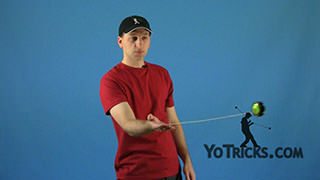 You start off by throwing a strong breakaway, and you are actually going to let the yoyo go all the way around and stick your arm out and let it pass right underneath your arm. From there you use your arm to push it to the rear of you. 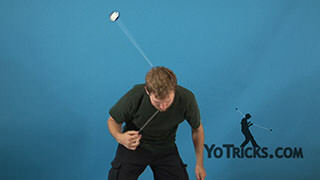 It’s usually a good idea to just practice that move first. 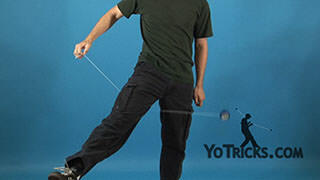 Once you’re comfortable with that you are going to move on to the next step which is throwing an around the world behind your back and pulling it in front of you. 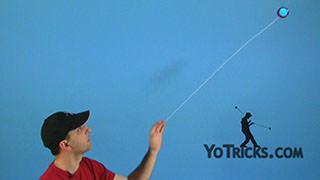 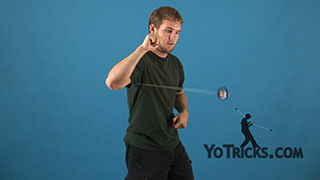 This step also you can practice alone – throwing it around. 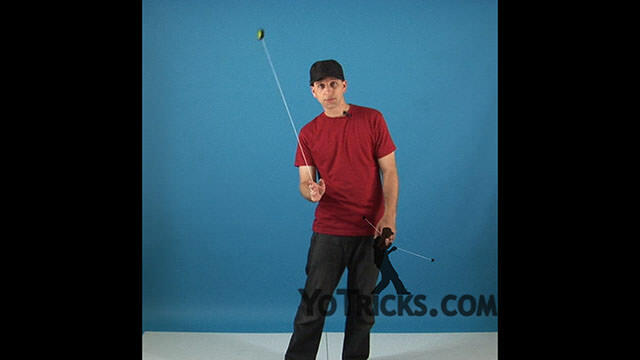 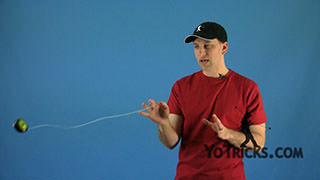 The key to this trick is that as the yoyo comes around you want to actually bend your arm in as if you were putting your hand on your hip so that you can pull the yoyo back in front of you. 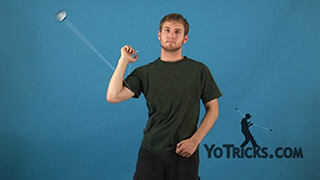 Once you have all of these steps you can put them together and it will look like this.